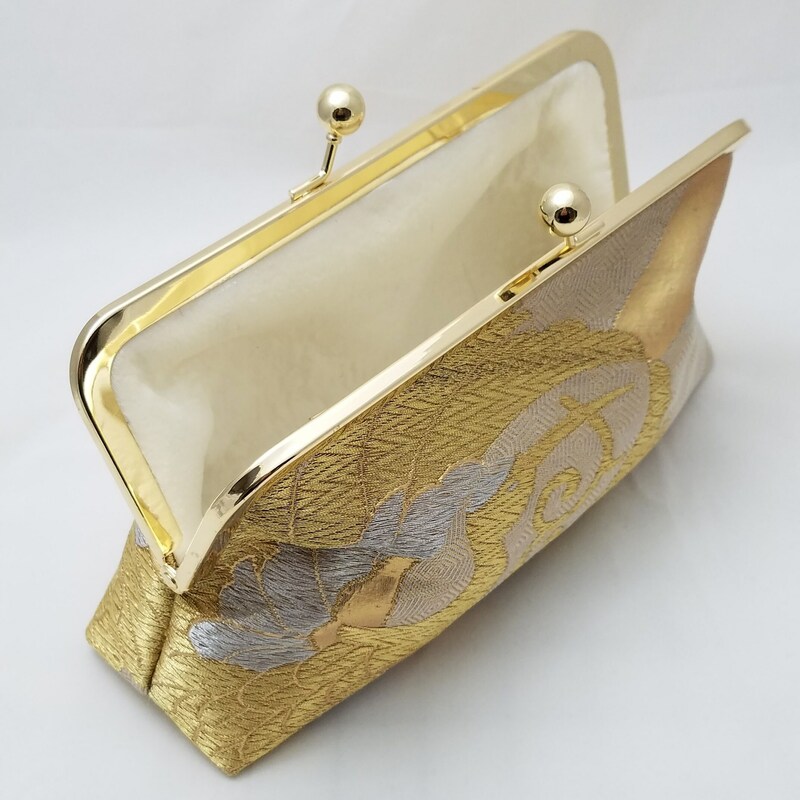 This clutch bag was created with a vintage, silk obi featuring large, embroidered cranes. 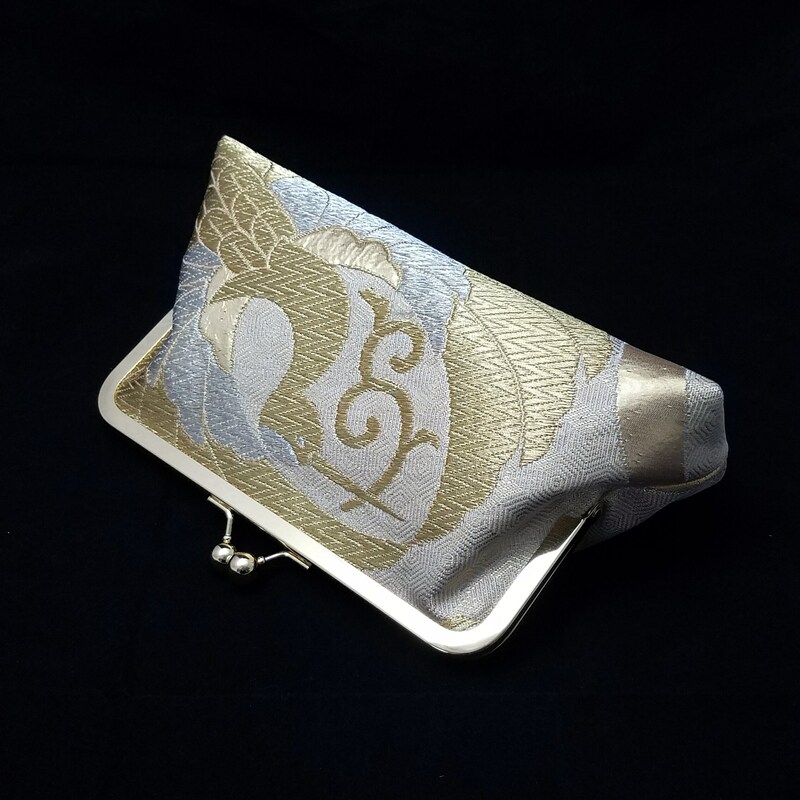 The cranes are embroidered in a gold and silver colored metallic thread. 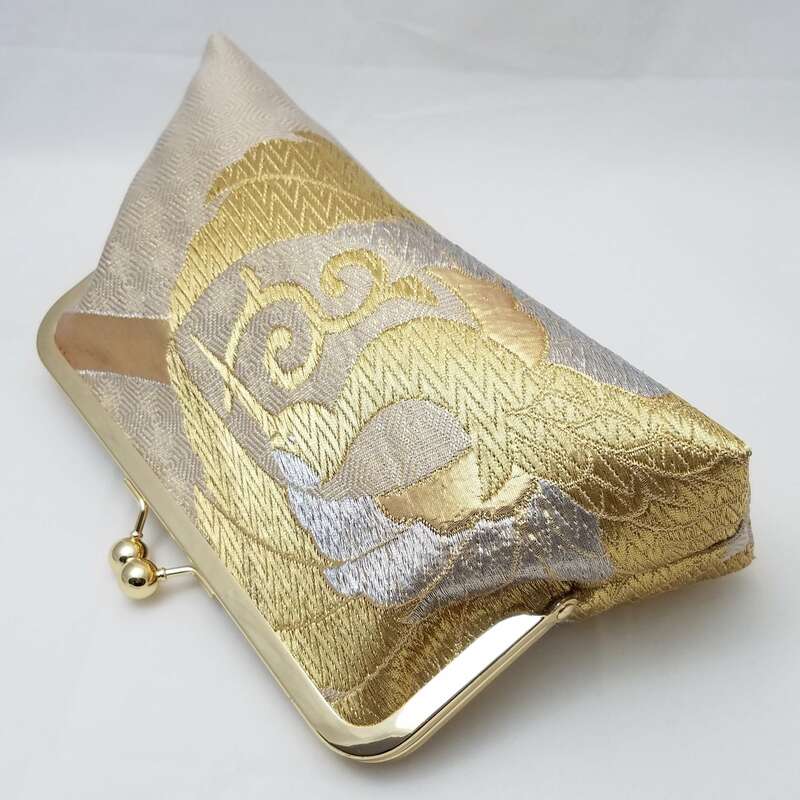 The gold and silver embroidery is very shiny and shimmers in the light. My pictures can not even begin to show you the full beauty of the fabric. The crane has long been a symbol of longevity and and good fortune. 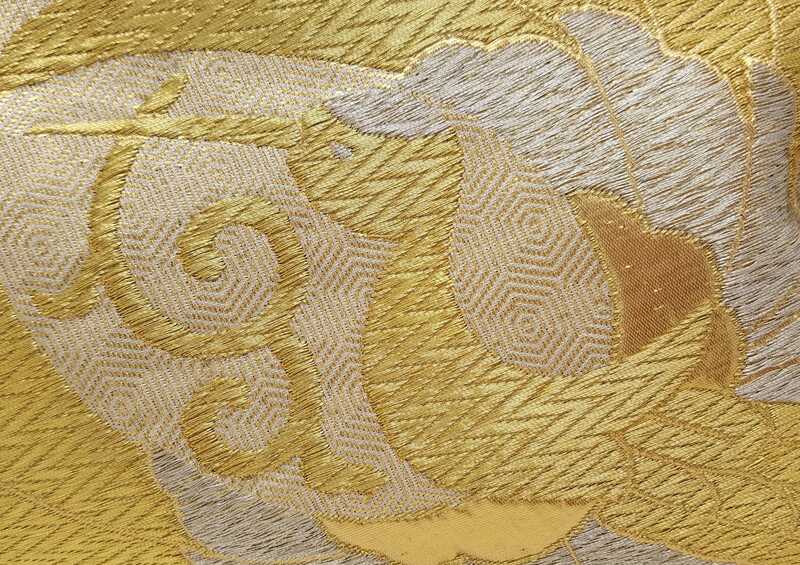 Cranes are often embroidered on luxurious wedding kimono (uchikake). 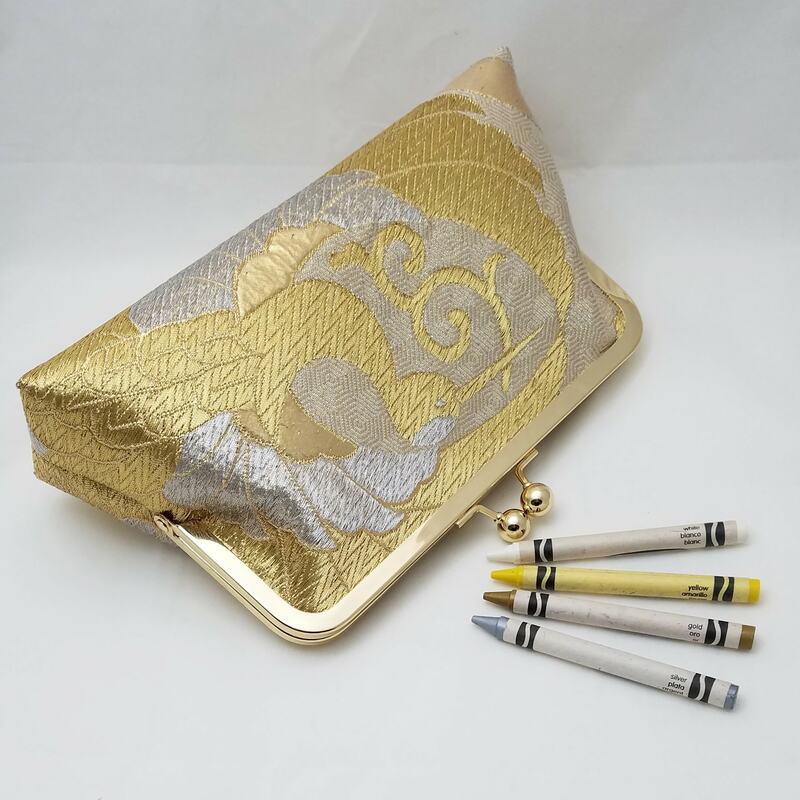 The background features a gold and off-white hexagonal tortoise-shell pattern. 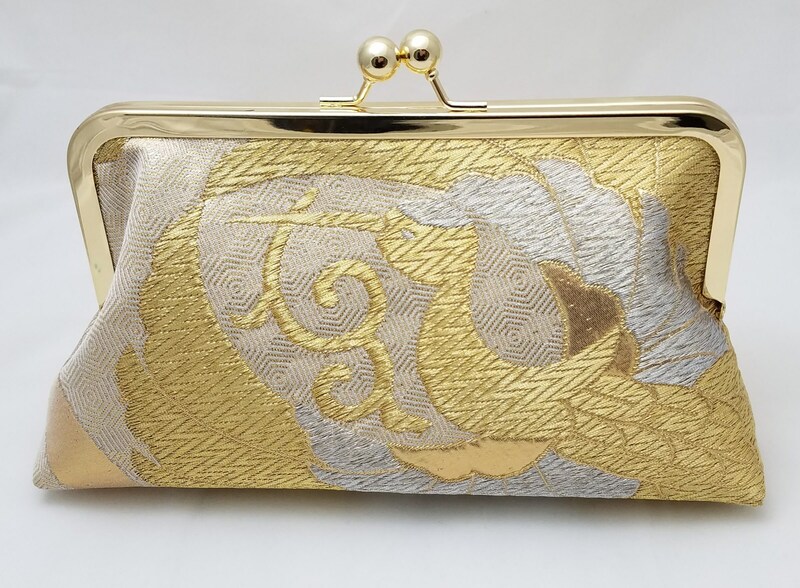 This pattern also symbolized "longevity". 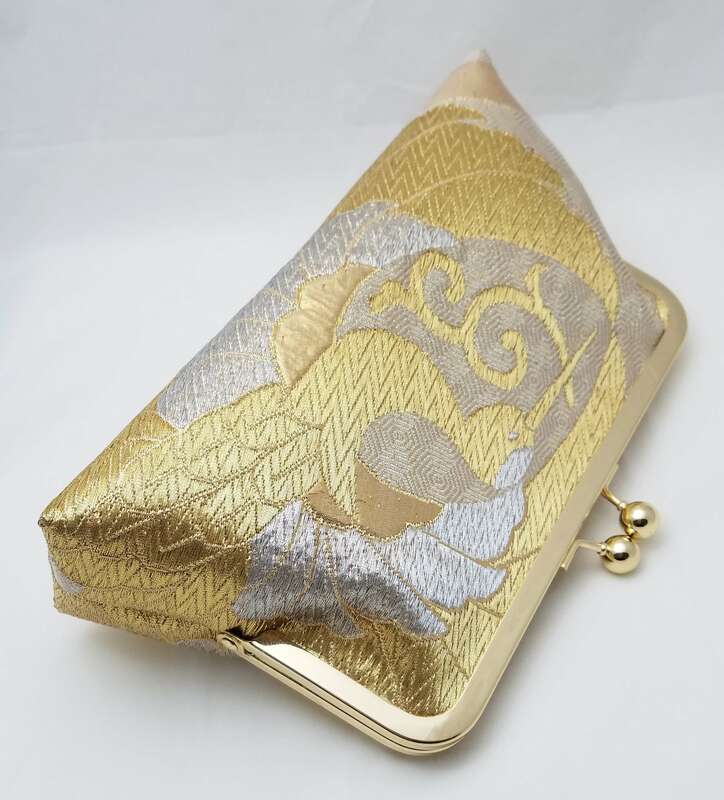 This clutch is large enough to carry your keys, money, cell phone and necessities and would be the perfect accessory for a bride or anyone attending a special occasion. 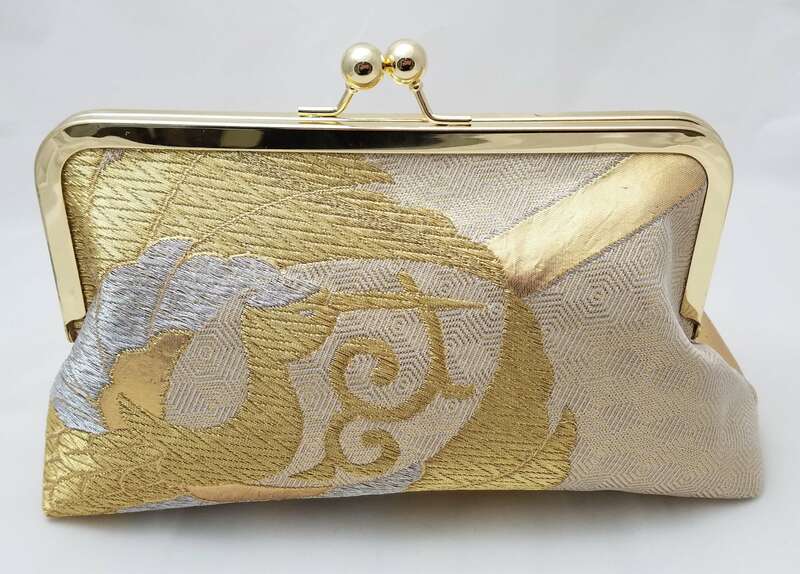 The interior of the clutch is lined with a white dupioni silk. 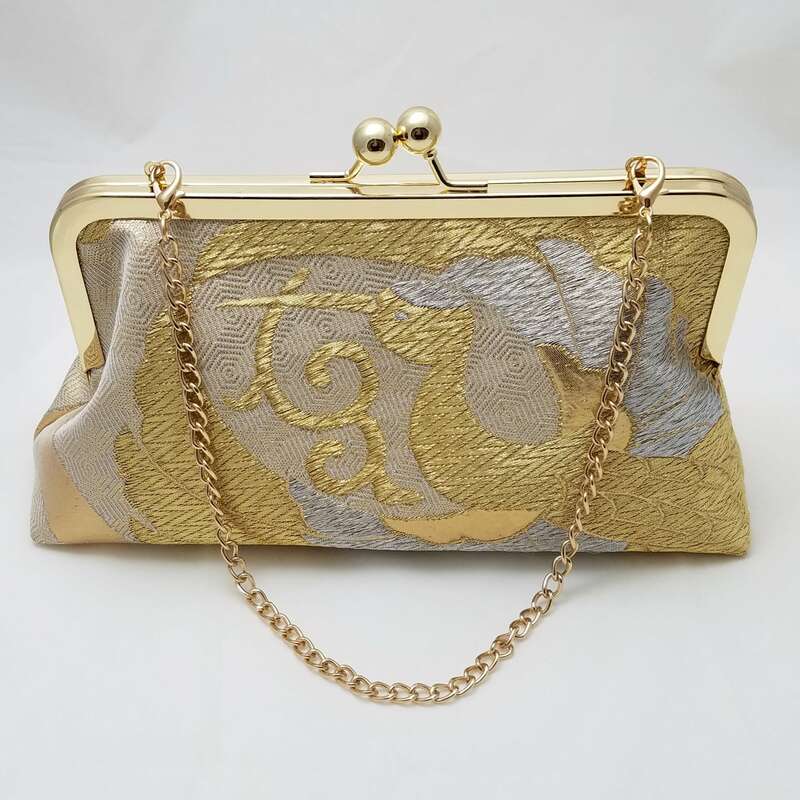 The clutch has two layers of flexible interfacing which gives it a sturdy, but soft feel. It will maintain its shape when placed on a table. 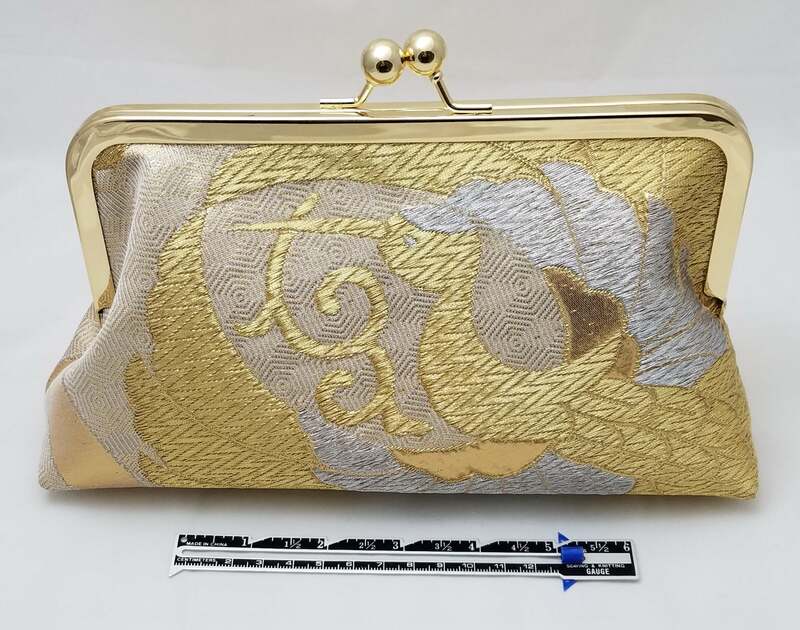 This item is created with silk. Please prevent it from getting wet and store it away from direct sunlight and moisture.